Adding steam to a residential shower is good for the body and soul and with Amerec Steam Generators it’s easy to enjoy the benefits of steam bathing in the privacy of your own home. 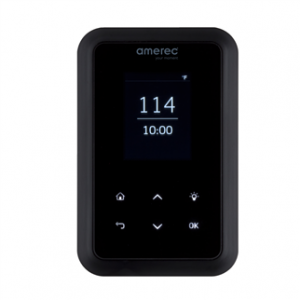 Amerec has been manufacturing quality steam bath generators for more than 30 years. Convert your existing shower into a relaxing oasis or custom build your new steam shower as part of a home spa that will make you never want to leave home again! We’ll help you select the correct size steam generator based on the size of your shower and the materials used in construction and you can choose from a variety of features and controls for your new steam generator. You will need to hire a licensed contractor and/or plumber to install your new steam generator and in some cases a contractor may be needed to install a glass door and/or tile to complete the steam room. Our expert sales associates are here to help you coordinate the details along the way. 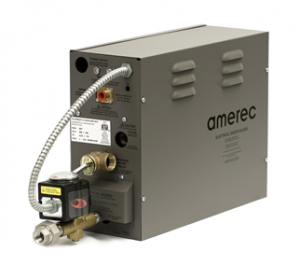 Contact us today for more information on Amerec Steam Generators.